Moscow, January 22, Interfax - Moscow has condemned the demolition by militants from Islamic State (banned in Russia) of an ancient monastery in Iraq and urged international community to coordinate more actively the fight against international terrorism. “Moscow resolutely condemns ISIL’s criminal acts and urges all responsible regional and international players to coordinate more actively their efforts in the fight against our common enemy in the person of international terrorism so as to protect world nations against violent extremism, guarantee the rights to ethnic and religious minorities and preserve world cultural monuments,” the Russian Foreign Ministry’s Department of Information and Press said in a commentary posted on the ministry’s website. News agencies reported that ISIL terrorists committed yet another crime against world cultural heritage, the ministry said. 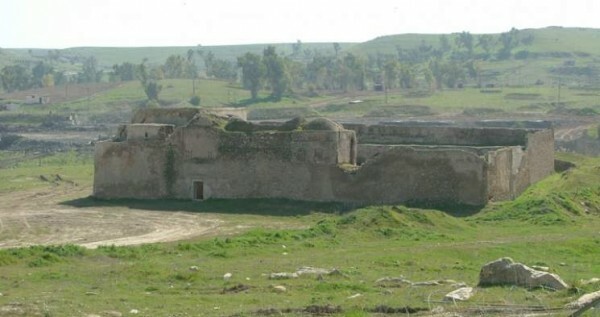 One of the oldest Christian sacred places has been demolished near the Iraqi city of Mosul: the St. Elijah Monastery, founded in the sixth century. BC. “This act of vandalism is yet another clear proof of the misanthropic essence of terrorists who, disguised by religious dogmas, in reality are seeking to impose extreme intolerance bordering on medieval barbarity and essentially reject the multi-faith and polycultural nature of the Middle East and the entire modern world,” the ministry said.